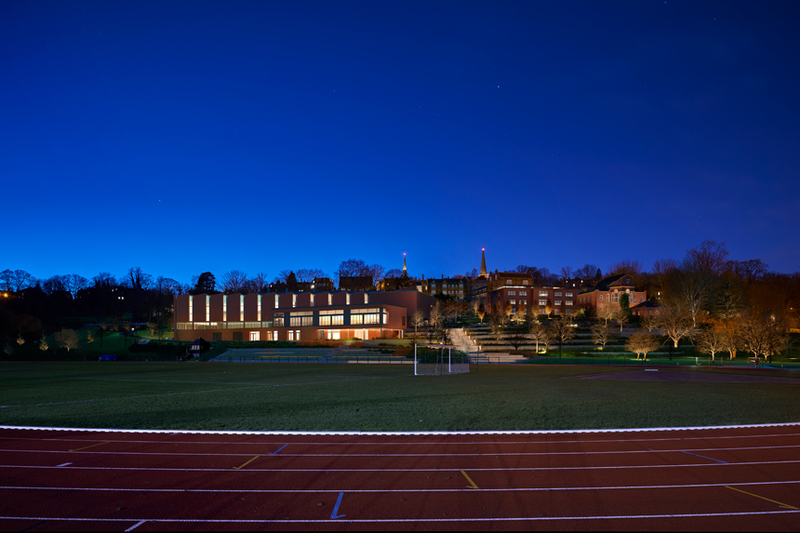 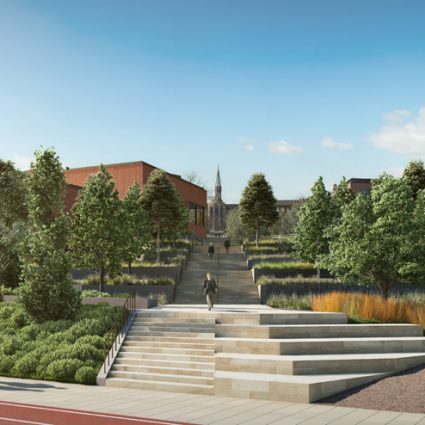 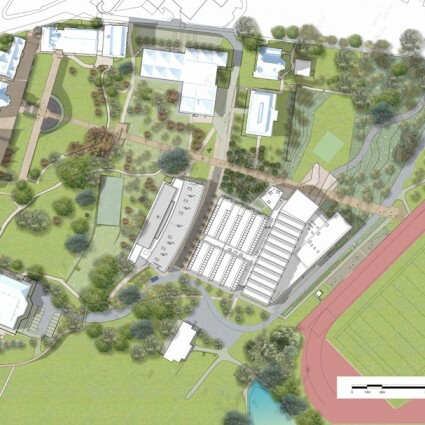 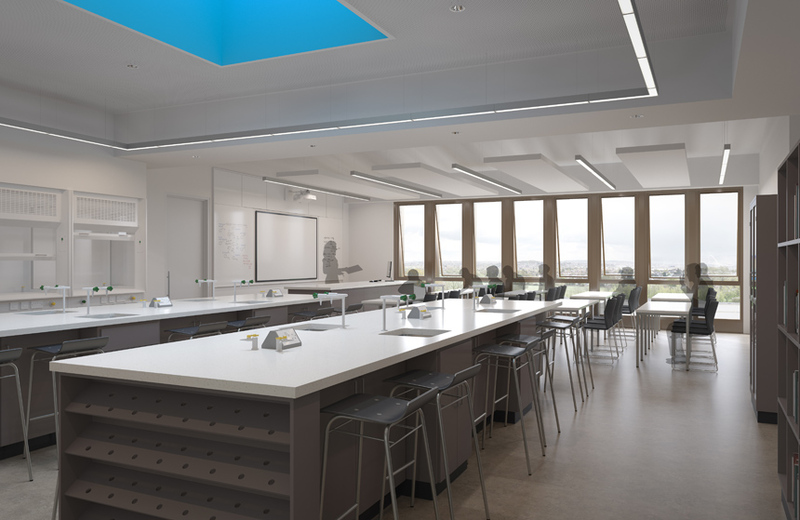 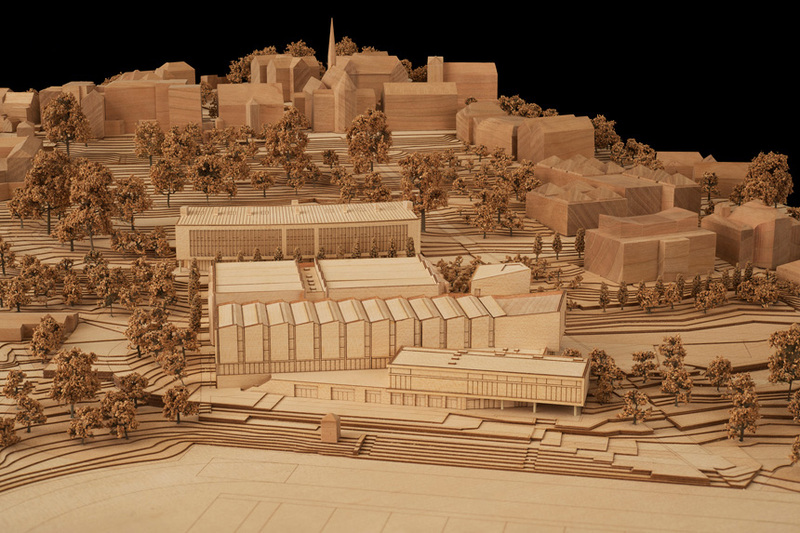 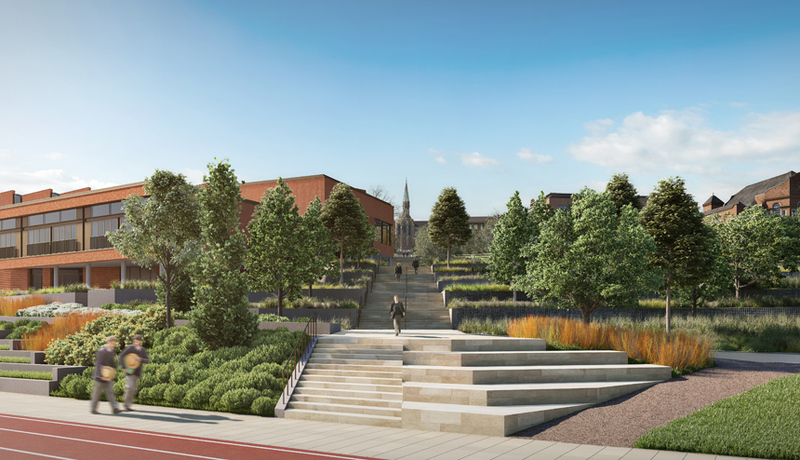 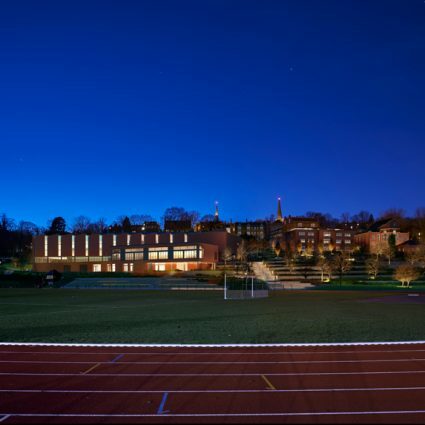 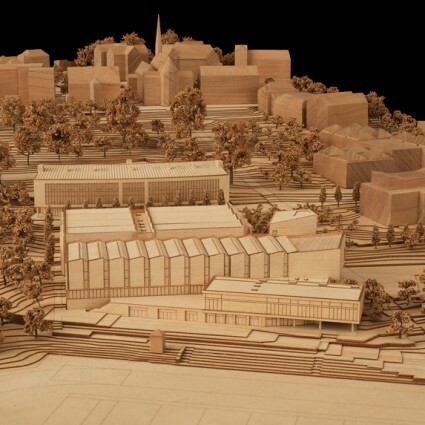 This project combines new buildings for both Sport and Science set within a comprehensive landscape scheme at the heart of Harrow School. 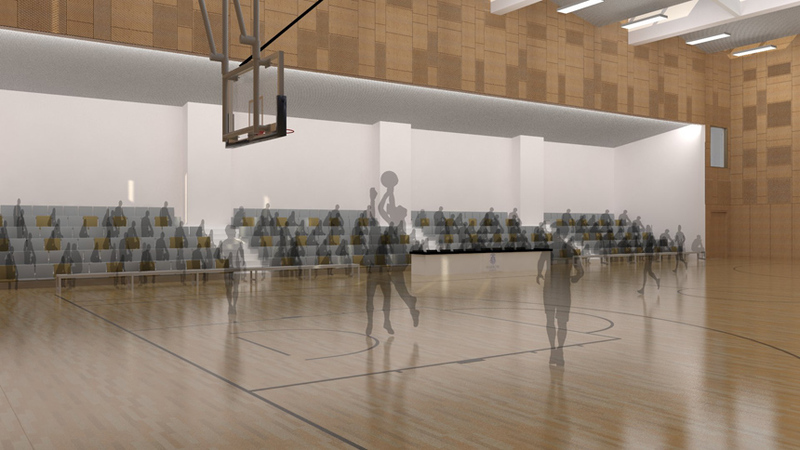 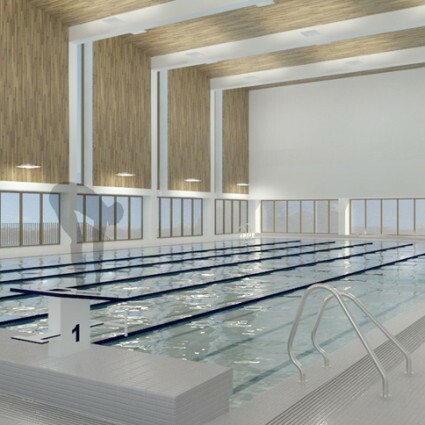 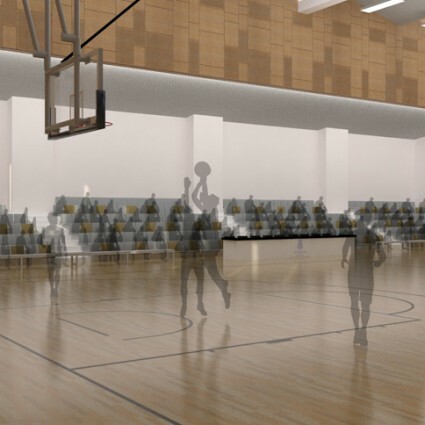 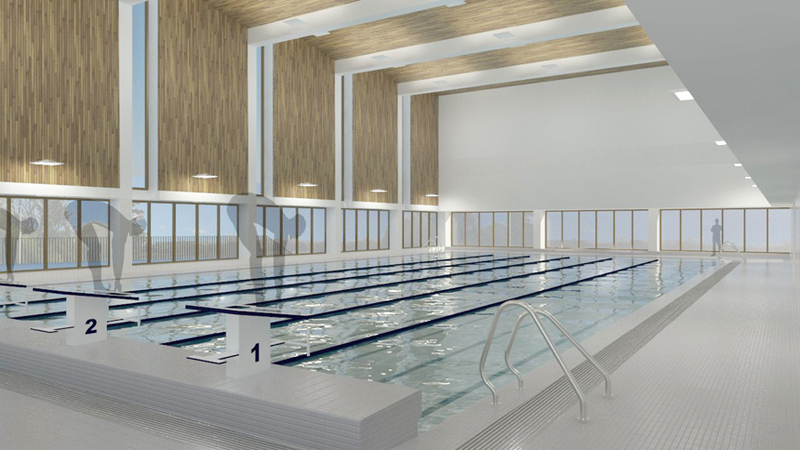 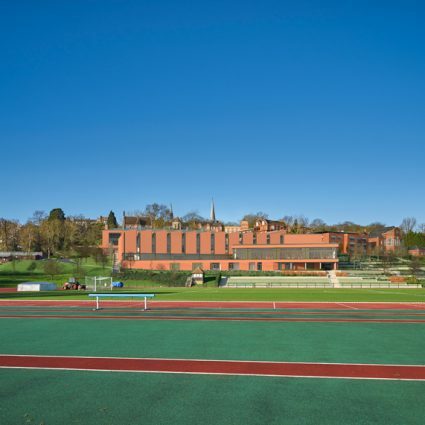 The Sports Building provides new sports halls, main and learner swimming pools, a climbing wall, a fitness and performance suite, multi-purpose classrooms and extensive changing facilities which serve both inside and outside sports. 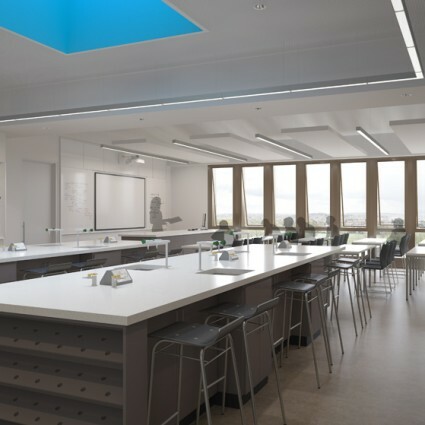 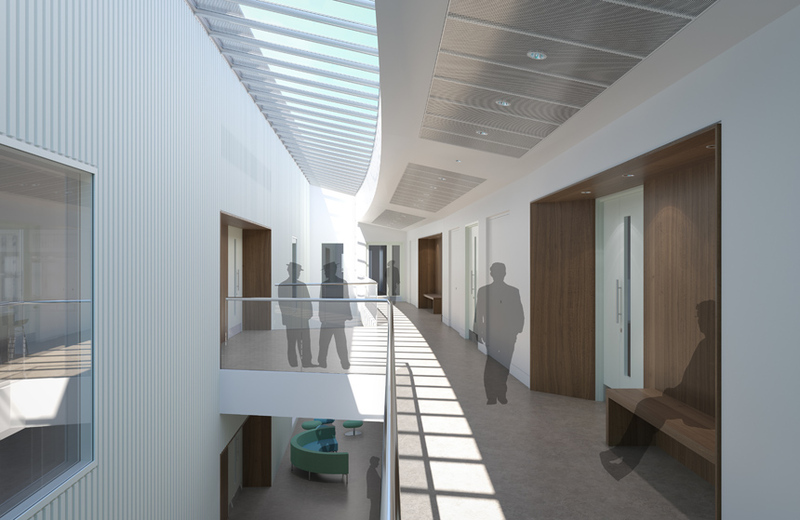 The Science Building provides laboratories for chemistry and biology alongside a lecture theatre. 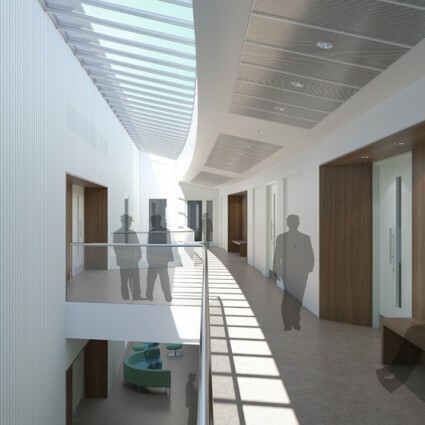 The building also houses the scheme’s energy centre which contributes to the BREEAM ‘Excellent’ target. 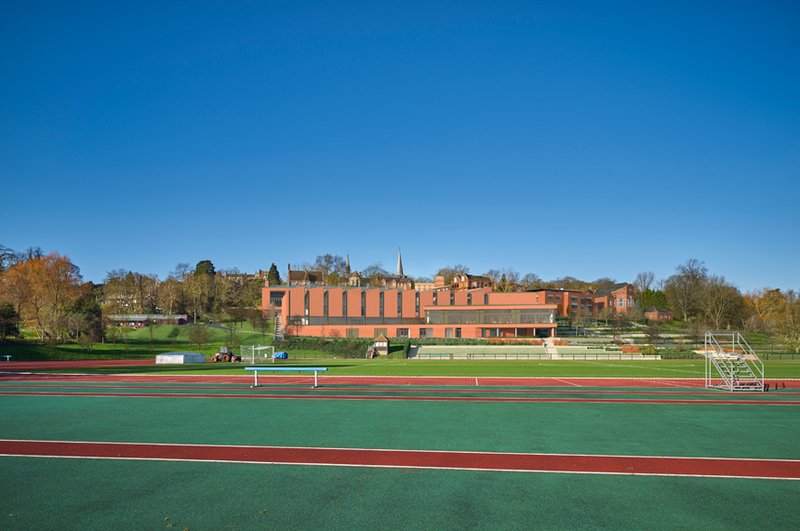 The buildings exploit the significant level drop from the historic setting at the ridge of the Hill down to the flat playing fields at its base. 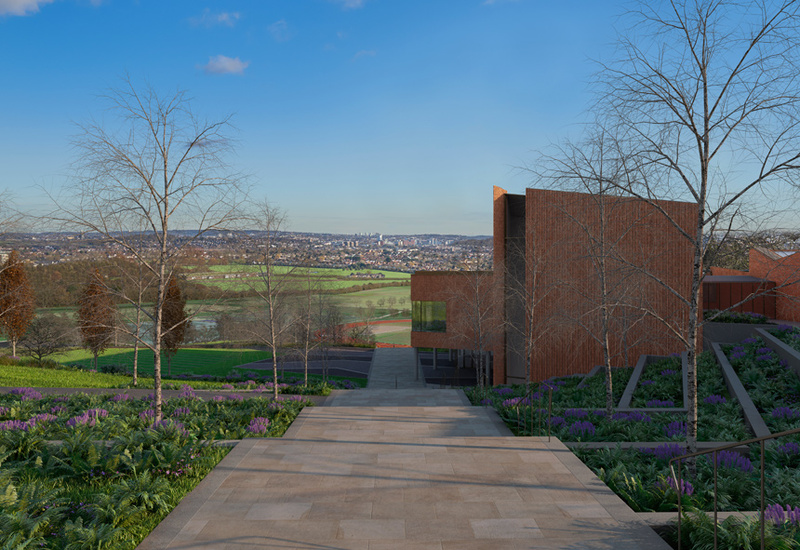 The forms are articulated to address key views and movement patterns whilst minimising their visual mass. 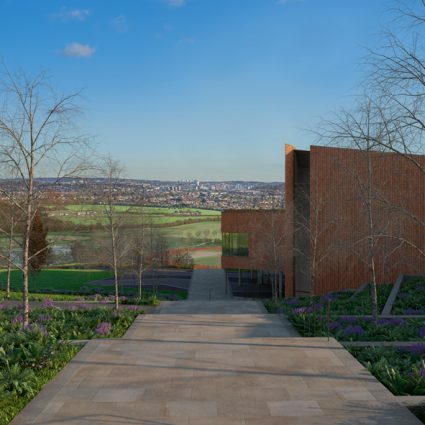 A red brick materials palette with textured panels echoes the historic core. 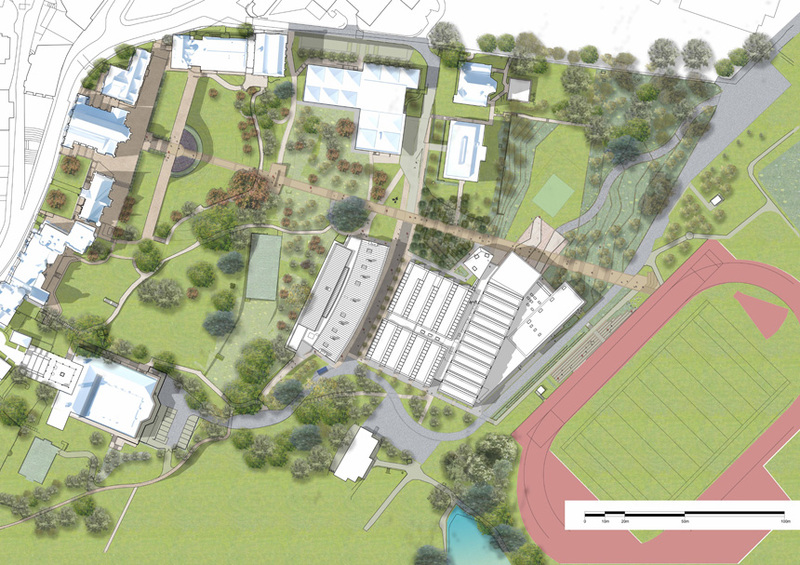 To see an animation of the scheme, click here.